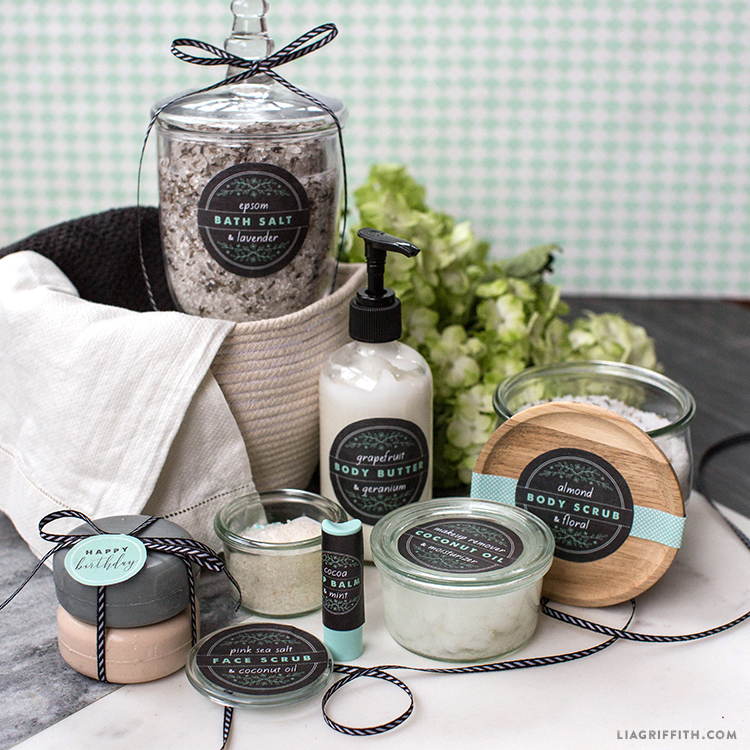 We’re bringing back our beloved printable spa labels… but this time, they’re editable! 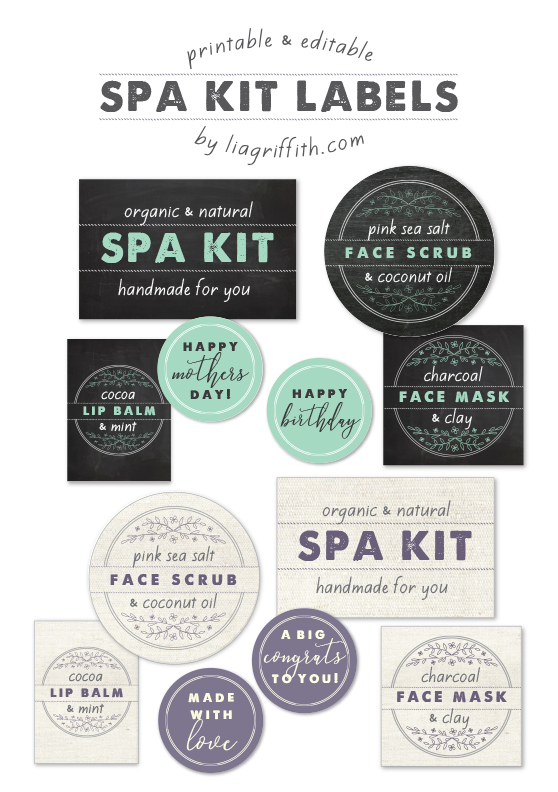 These customizable spa kit labels are the perfect finishing touch for any homemade beauty or health product. 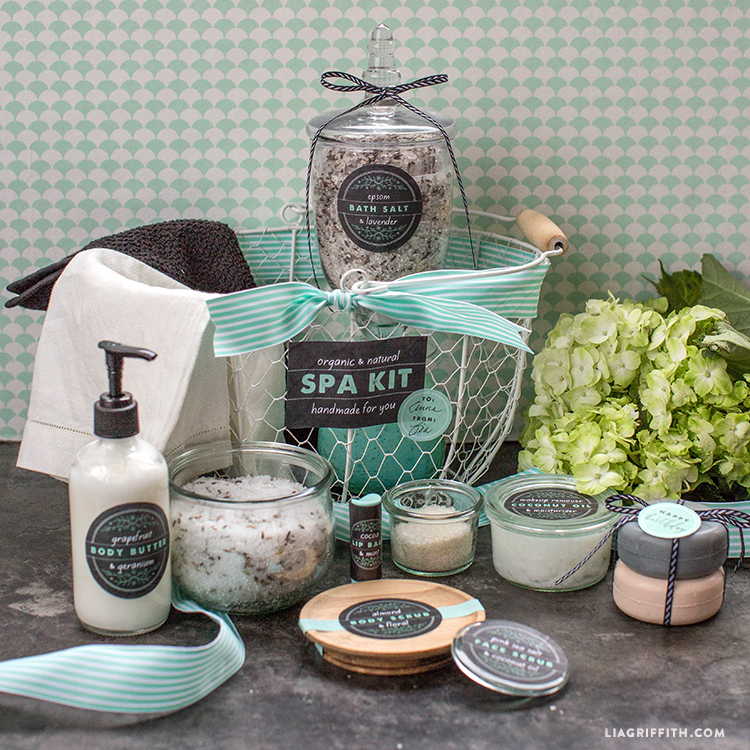 Create a whole spa ensemble for the ultimate DIY gift! Download the files below and edit accordingly. The fonts we used are Love Hewits, A Love of Thunder, and Kiwi School Handwriting. Print your labels onto label paper and adhere to your spa products. Add pretty ribbon for extra decorative fun. 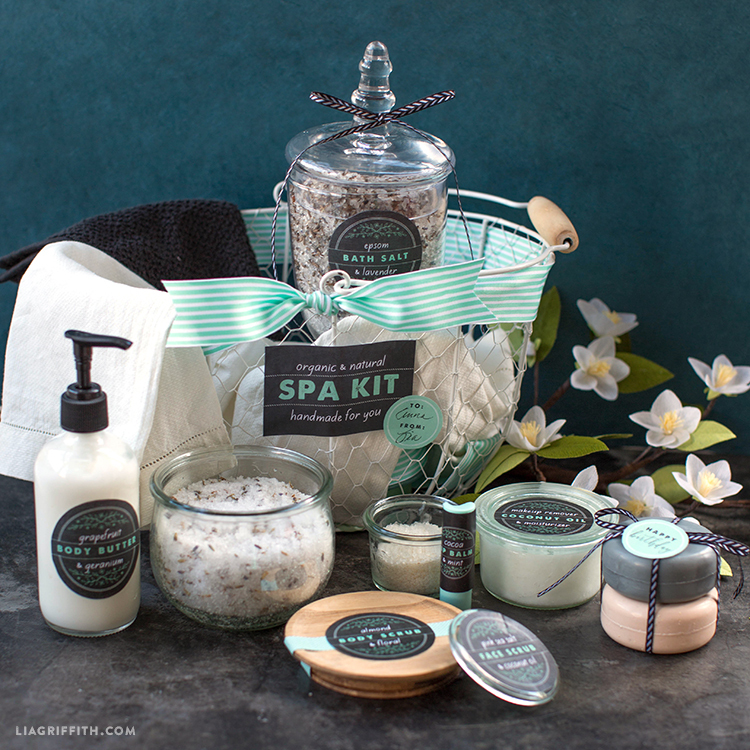 These handcrafted spa products are as lovely as they are luxurious. A great gift idea for Mother’s Day, Valentine’s Day, or birthdays all year round. Simply spa-mazing! We have many delicious recipes to choose from. As seen in the photos, try our lavendar bath salt, sea salt scrub, coconut oil makeup remover, lip balm, whipped body butter, and almond & floral body scrub. These recipes are made with all-natural goodness for only the healthiest of products. You’ll have so much fun whipping them up, you’ll be pressed to part with them! Be sure to make a little extra for your own indulgences! For even more DIY recipes, browse our other projects here. Printable Labels for Homemade Ginger Beer + Link to the Yummy Recipe! Hi Lia and team, unfortunately I can’t download the “Linen” Set. A right mouse click for “save as” opens as *.htm, a left mouse click swaps the window back to the project. The “Chalkboard” set downloads well. Could you please check this and fix it, if necessary? After the Holidays 🙂 – no reason to hurry. Have you all a wonderful Christmas and enjoy the days. Thank you for lots of nice and inspiring projects. Thanks for letting us know! I fixed the download 🙂 Merry Christmas to you!! These are stunning, thanks so much for sharing! Are the jars repurposed? If not, would you be willing to link to sources?? Merry Christmas! Thank you Jessie! Yes, these are all jars we have in our prop room. I can’t remember where the taller apothecary jar came from (most likely Michaels or Home Goods! ), but the smaller jars are Weck jars. You can buy those online but they’re also sold at many stores like Crate & Barrel, Williams Sonoma, Sur la Table, etc.